Non-toxic, eco-friendly Pond Blue dye for lakes will control algae and aquatic weeds that often cause serious problems, interfering with fishing, boating, swimming, and irrigation. The extremely dense growths of filamentous algae and submerged weeds that also cause serious problems to fish, as a result of night time oxygen depletion, will also be controlled. Pond Blue dye for lakes replaces the need for manual algae prevention which is very labour intensive and not always practical. Pond Blue dye also negates the need for chemicals, algaecides, herbicides which, if not used in precise doses or under strict supervision by experts, can cause an imbalance of the natural nutrients in the pond that can have a negative effect on fish, plants and other species. your commercial pond dyes order. How much POND Blue should I order? Dyofix Pond Blue dye for lakes is being used by commercial fisheries as an economic method of controlling algae growth in their ponds. 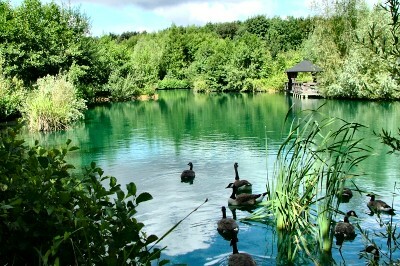 Woodland View near Droitwich in Worcestershire, one of Britain’s most popular match circuit waters, has successfully used Pond Blue dye for lakes. Reproduced from the Angling Times, with kind permission of Stephen Stones. If this was the scene at your local commercial fishery, you’d probably gasp in horror, but this blue fountain of water could save the lives of thousands of fish this summer. One of Britain’s most popular match circuit waters – Woodland View near Droitwich in Worcestershire – has dyed all of its lakes blue with a harmless solution that helps protect valuable stocks by stopping the oxygenation-sapping algal blooms that can lead to devastating fish kills. 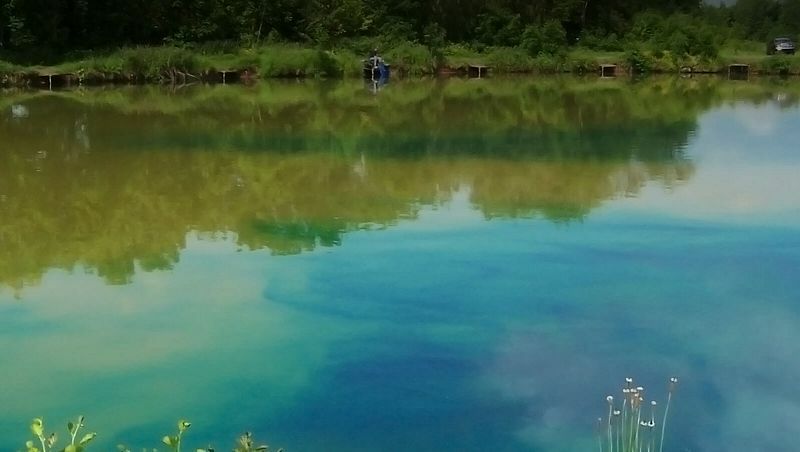 The fishery has been using ‘Dyofix Pond Blue’ (which filters out the infra red part of the spectrum that fuels photosynthesis) for the past two years, and is now advising every commercial lake owner to do the same ahead of the predicted summer heat wave. “There is no doubt in my mind that if I hadn’t used ‘Dyofix’ in the blistering heat last year I would have lost fish due to algal blooms and de-oxygenation, just like many other fisheries did,” said Mike Mason, owner of Woodland View. “The dye is totally harmless and inexpensive, I could not believe how economical it is per acre of water, even the smallest of fisheries can afford to safeguard their stocks.” Leeds-based company Town End PLC, which produces Dyofix, claims the product not only prevents the growth of algae, but can also help protect stocks from cormorant predation due to the lower visibility in the water. Furthermore, the cloudy water has also helped boost anglers’ catch rates at Woodlands View by making the fish feed with more confidence, especially in the colder months. “The fish are really confident and now come and feed right in the margin, even in the winter when they’re usually shy. It truly is a godsend,” Mike Mason added. By supplying Pond Blue dye powder in separate water soluble sachets it is easy to calculate the number required to dose a lake or pond. In large lakes, if a boat is being used, simply drop sachets in different areas where they will dissolve releasing the blue dye. 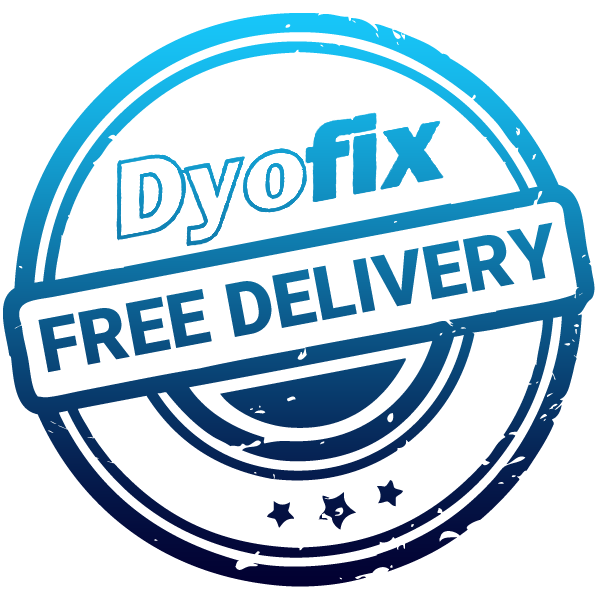 By spreading the area, the time taken for Pond Blue dye to fully mix with the water is reduced. If a boat is unavailable face the water with a breeze coming from behind. Drop a few sachets along the edge and throw the others into the water. The breeze will move the water and the blue powder dye will dissolve and mix in quite freely. Pond Blue will fully mix with all of the water using this method but may take a little longer. If a boat is being used, gently pour the amount required into a wide area. The blue liquid dye rapidly disperses and will fully mix with all the water in the lake. If a boat is not available pour the desired amount into the water near the bank. To speed up the distribution it is preferable to use the banks of the lake that have a breeze flowing towards the middle. Regardless of which method is used, the water will look to have more colour in the first few days because it takes a little longer to mix from the top to the bottom. If reference samples are desired, it is suggested that these should be taken at least a week after the initial application. Samples should be in clear containers with a secure lid, labelled with the date and location and stored in a dark place. An initial comparison to tap water will show the amount of colour present in the water. 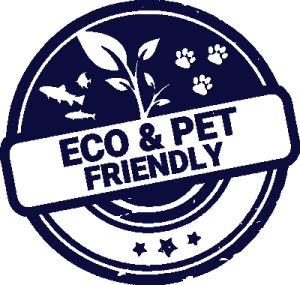 If you need any assistance please email our sales department or telephone sales by dialling 0113 256 4251. Locate your pond or lake by entering the nearest postcode and use the tool to measure the area.